What Stores Sell John Deere Replacement Parts? John Deere equipment and replacement parts are sold at The Home Depot, Lowe's and dealers and distributors throughout the country. Some of the John Deere dealers and distributors in the United States include RDO Equipment and A to Z Equipment. Customers can locate a John Deere dealer using the Dealer Locator on the company's website. Alternatively, customers can use the John Deere online parts catalogue to search for and order the parts they need and locate a nearby dealer where they can pick up their parts. John Deere is known for its line of tractors; however, the company was started by blacksmith John Deere in 1838 in Moline, Illinois, with a line of plows. As the company evolved, it expanded its line of plows and manufactured planters and cultivators. The company began offering tractors in 1918. During WW II, the company manufactured tractors, aircraft parts and ammunition for the United States military. Although the company originally provided equipment for the agricultural sector, in 1991, John Deere created a separate division providing equipment for lawn care and grounds management that included a line of riding lawn mowers. The company continued to expand, and as of 2012, it has facilities in Europe, Russia, India, Brazil and Argentina. Where Can You Buy Used John Deere Parts Locally? 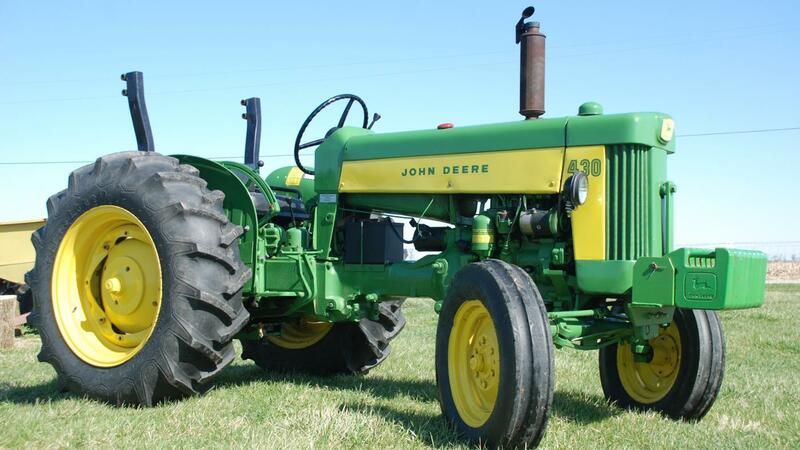 Where Can You Find Replacement Parts for John Deere Tractors? Where Can You Buy Replacement Parts for a John Deere Tractor? How Can You Change the Oil in a John Deere? How Much Do John Deere Lawn Mowers Cost? What Is the Typical Price of John Deere Lawn Mowers? How Do You Use a Snow Plow With Your John Deere Tractor?